Great work. By calling the cops you made the kid with the Coors jump in his car and drive to a parking lot with his friends somewhere to consume that alcohol instead of consuming it in someone’s home where a parent could have intervened had something gone wrong. Brilliant work. Problem solved. The notion that parents should monitor underage drinking in their home is at the heart of this problem. If they want to do that with their own teens the law gives them some room to do this. But to host a party with other people’s teens is not right. In CT it’s illegal. I think Teri’s point here is the local police have been given evidence that there was drinking at the home while the parents are there and ignored investigating it. We pay the cops to implement the laws not be the judge on them. Teri did you see the police try to id any of the teens and check their age and test their breath? The police have to use judgement on where to focus enforcement resources. Breaking up underage drinking parties in homes just leads to underage drinking in parking lots which is a much bigger problem. This is why the police did the right thing in not getting the law involved here. 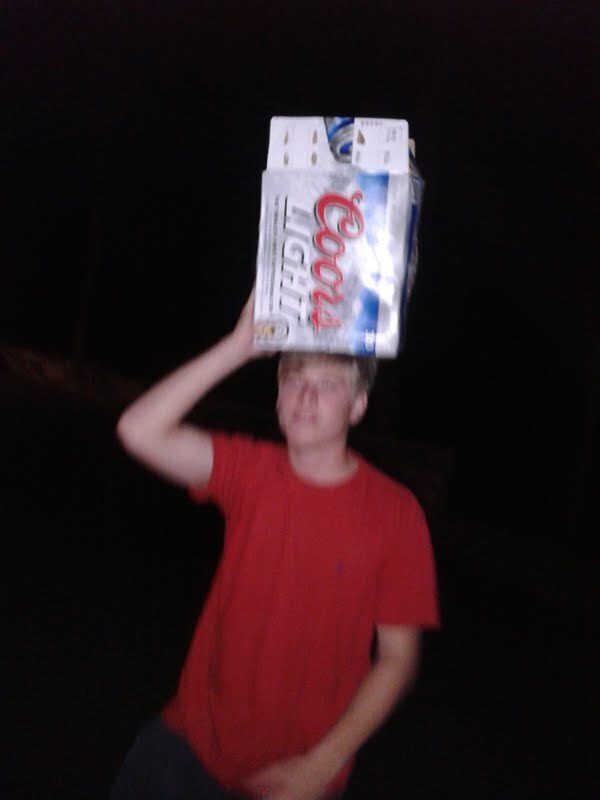 That kid with the Coors case drank that beer somewhere and then drove home. We have an abundance of well paid police in New Canaan. They have two problems to police – domestic violence and underage drinking or adult DUI’s. Until they stop the nexus of the problem which appears to be parents with ideas like yours then they haven’t done what we paid them to do. Thank you Teri for bringing this situation to the attention of the public. First of all I don’t live there and I’m not the parent of a teen. When I was a teen my friends parents let us have parties in their house. We had to surrender our keys. Our classmates who were not as fortunate drove around to parking lots and parks to drink. So answer the question then, if that boy with the case of Coors had to leave the party, where was he forced to go to consume it? If you bust parties at houses that does absolute zero to stop teenage drinking, it just forces them underground – away from parents and shelter. Prohibition never worked for adults why should it work for teens? The police were very wise to show discretion and should be commended. What, it’s illegal to drink alcohol before 21 years old in the U.S.??? You must be kidding, no?? Alternative View is a genious. If I’m following his or her logic, we should allow our teens to fornicate on the front lawn and smoke pot in the basement because they are going to be doing it somewhere, why not at home sweet home? Look AV, this isn’t the movie Footloose and Reverend Moore is nowhere in sight. We are trying to raise responsible children who obey the law. Parents who encourage this and justify it under some sort of safety conduct are doing a huge disservice to their kids. There are reasons that we have age restrictions on certain actvities and items. Yes, many will drink somewhere else. But, allow this to be a difficult moral decision that they make. I understand wanting to keep our kids safe, but by encouraging this behavior to happen at home will most definitely encourage it to happen elsewhere anyway.